People are honoring the daring spacebat all over the world. Now it's your turn. 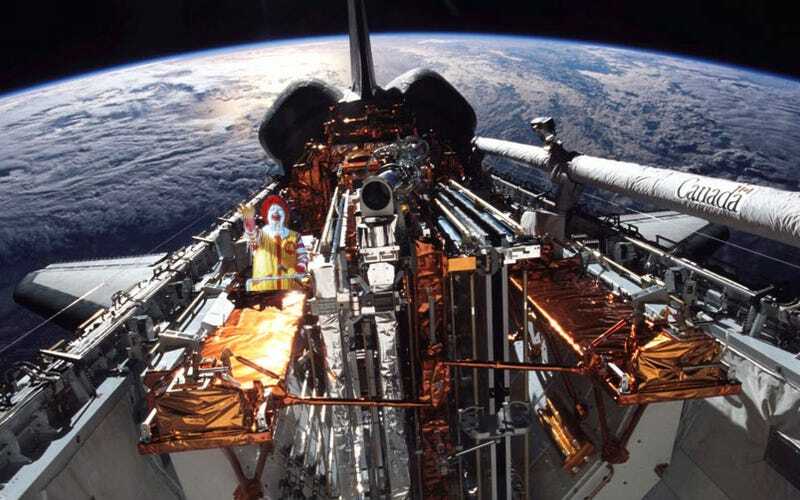 Your turn to mock the whole thing using your Photoshop skills, sneaking someone onto the space shuttle—inside or out. Who would you like to send to space to never hear about him/her again? Send us your image at contests@gizmodo.com with "Space stowaway" in the subject line by this Wednesday at noon. Name your files with a FirstnameLastname.jpg naming convention and use JPG or PNG as your file types.